The Fire Marshal’s Office is based within the Henry County Department of Public Safety and is responsible for performing a wide range of tasks. Some of those responsibilities include code enforcement for businesses, acceptance testing of fire prevention systems, assist with plans review for new and existing construction, fire cause investigations, incident preplanning consultations for businesses, fire safety surveys in residential homes, and smoke alarm installation in residences. The Fire Marshal’s Office also assists with Emergency Management within Henry County. To help mitigate fire and life safety hazards in Henry County, the fire marshals enforce the 2015 Virginia Statewide Fire Prevention Code. This code is derived from the 2015 International Fire Code and adopted by Henry County. The IFC sets mandatory standards for all types of occupancies except for residential dwellings. The Fire Prevention section (Chapter 9) of the County of Henry Code of Ordinances explains more about the responsibilities and authorities of the Fire Marshal in Henry County. For more information on Fire Prevention and authorities of fire services in Virginia, go to Title 27 of the Code of Virginia. All permits approved by the Fire Marshal’s Office will be issued after a $25.00 fee is received. 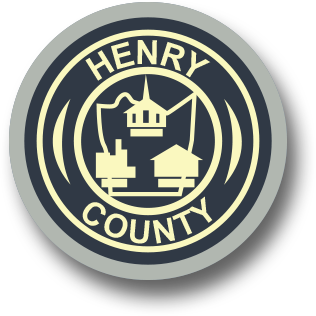 Please make checks or money orders payable to "County of Henry" and mail to Henry County Fire Marshal's Office, 1024 DuPont Road, Martinsville, Virginia 24112. The Fire Marshals schedule and perform inspections based on occupancy types throughout the year. If you would like to request an inspection you will need to contact the Fire Marshal’s Office by email or by calling the main office (276) 634-4660. What do we look for during a Fire Inspection? The Building and Fire Officials for Henry County requires that any new business, or current business that undergoes renovations, must install a Knox Box at the front entrance of the building. Please go to www.knoxbox.com/16072 and select the Knox Box that best fits your needs. When a fire occurs in Henry County, the responding fire department’s chief officer in charge of the scene is responsible for determining the origin and cause of the fire. At any time, that officer can request a fire marshal to respond and take over the investigation. Working smoke alarms are essential pieces of equipment that every home should have. Please remember to change the batteries in your smoke alarms 2 times a year. When the clock changes, change the batteries in your smoke alarms. The typical life of a smoke alarm is 7 - 10 years. Even if your alarm beeps when you press the test button, the sensors inside may be non-functional. If you have any questions about smoke alarms contact Public Safety for more information. If you would like to have smoke alarms installed in your home, Public Safety will provide and install them for free. Just fill out the Smoke Alarm Request Form and return it by email or mail to Assistant Fire Marshal Kiah Cooper.